Join us for our monthly case consult peer/professional supervision call. This is a casual, fun, and always informative video chat hour open to all members. We will discuss cases submitted in advance with our Guest Expert. Members, please submit your case in advance, by April, 17th to info@edrdpro.com. Tammy has been practicing as a registered, licensed dietitian for over three decades and has devoted the majority of these years to the field of eating disorders. Tammy was the first registered dietitian certified with iaedp in 1993, and served as Director of Certification from 2013-2017, during which the CEDRD was approved by the Commission on Dietetic Registration. As a national speaker on eating disorders, her experience includes inpatient, intensive outpatient and outpatient private practice in addition to eating disorder program development in both Alabama and Florida. 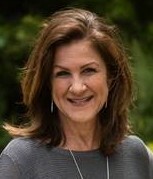 She currently serves as Vice President of Clinical Nutrition Services for Alsana, an Eating Recovery Community providing residential and day treatment levels of care, working closely with the Clinical Leadership Team and supporting all Alsana Eating Disorder Treatment Centers in California, Missouri and Alabama.